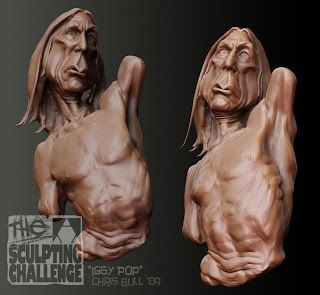 Final entry for 3dtotal's "Celebrity Caricature" sculpting challenge. 5 hours again (that's the time limit). Came second. Huzzah! Quality effort there man. You have got some sculpting skills. Good to see you keeping up traditional work too. I always think it really helps 3D artists. Keep us informed on updates!